On their ninth studio record, Pearl Jam capably shows why they deserve the title of “One of the great last bands standing” from the early 90s grunge explosion. Not only has the band evolved over the course of their almost 20 years together, they have managed to weather the ebbs and flows of the music business by remaining true to themselves, which has in turn maintained the respect of their legions of fans. 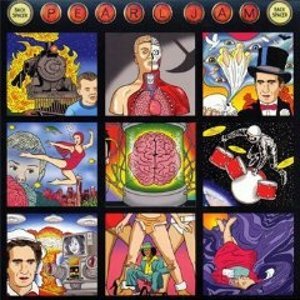 There is no lack of piss or vinegar on Backspacer: Starting with Gonna See My Friend, Pearl Jam opens their arms to guitar-driven rock n roll and embraces it willingly. Most importantly, the band continues sounding inspired and grateful for all they have achieved to date, delivering a studio record that is a definite keeper. Highlights include rocking tracks like The Fixer, the anthemic Supersonic, Just Breathe and the introspective album-closer The End.